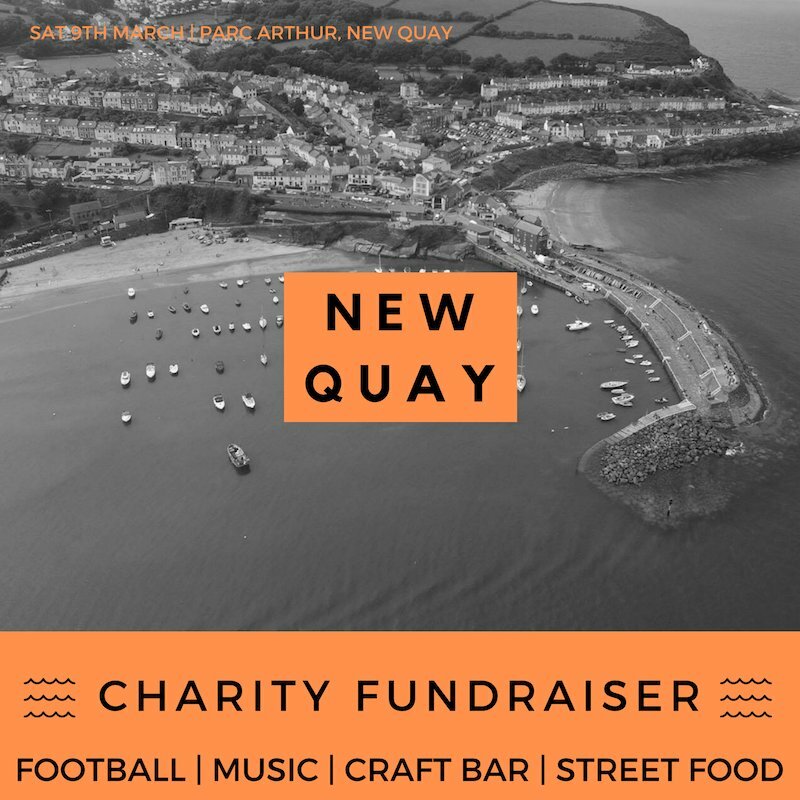 Ticket holders will have full access to all the New Quay Super 6’s Invitational Charity Cup action and Family Fun Zone (from 9am) as well as the Main Fundraising Festival Tent (from 1pm) which will play host to an incredible line up of Live Music throughout the day as well as the dedicated Event Bar and Food Stalls. The evening festivities continue into the night with the Charity Auction at 7pm, followed by 4 incredible headliners. Festival Tent: Under 16’s go free (Min age 7) but MUST be accompanied by a responsible adult when in the Festival Tent for insurance purposes (1pm till late). There are no age restrictions for the Family Fun Zone or to watch the New Quay Super 6’s Invitational Charity Cup (9am-5pm).